Xiaomi, at an event yesterday in India, announced the Global ROM of MIUI 10. 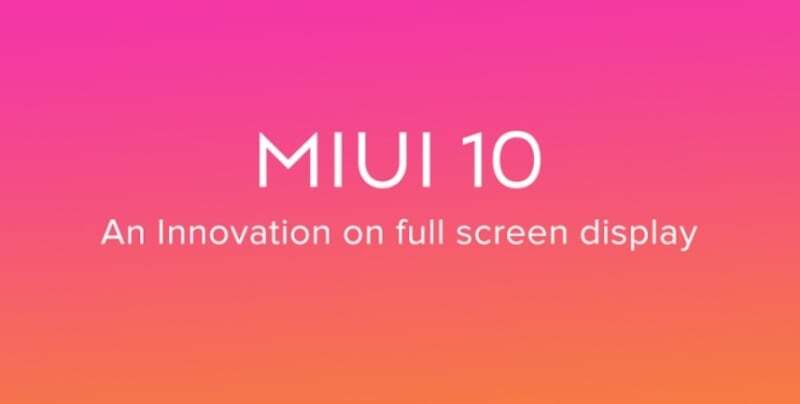 The Chinese company stated that the Global Beta ROM of MIUI 10 would be made available to some devices this month itself. And now, the company has posted a blog post for the recruitment of MIUI 10 Beta Team- Global. Xiaomi has already recruited the team for testing the China ROM, but the Global Beta team will be testing the MIUI 10 Global ROM which can be installed anywhere in the world. Xiaomi confirmed that users with Mi 6, Mi Mix 2, Mi Mix 2S, Redmi S2, Redmi Note 5 Pro (India)/Redmi Note 5 could apply for the program. Interested customers with above smartphones can head over to the MIUI Global Forum application (download from Google Play Store, if not) and hit the ‘Recruitment’ on the home screen. Fill the required details and submit. If selected, Xiaomi will send you a forum message on June 12. There are some requirements for the selection of MIUI 10 Global Team. Users must be using the latest MIUI Global Beta ROM on their smartphone; They should have interest to test and some knowledge about ROMs, bootloader unlocking and flashing MIUI ROMs. Furthermore, users should also be active on the forum and they should be ready to discuss with other members of both QQ Beta group and forum. Xiaomi already confirmed that it will be rolling out MIUI 10 the following devices- Mi Mix 2, Mi 6, Mi 5s Plus, Mi 5s, Mi 5, Mi 4, Mi 3, Mi Note 2, Mi Max 2, Mi Max, Redmi Note 5 India, Redmi Note 5 Pro, Redmi Note 5A, Redmi Note 5A Prime, Redmi Note 4 MTK, Redmi Note 4X, Redmi Note 3 Qualcomm, Redmi 5, Redmi 5A, Redmi 4, Redmi 4A, Redmi 3S, Redmi Y2, Redmi Y1 Lite and Redmi Y1. Some devices will receive the Global Beta ROM in mid-June and other devices will receive the same over the period of time.